On her very first day of “freedom,” one survivor was radically transformed by the love of Christ. Four and half years later, after living with one of Compassion Connects’ founding families, she was engaged to the man of her dreams and needed not simply a dress, but an entire wedding celebration. 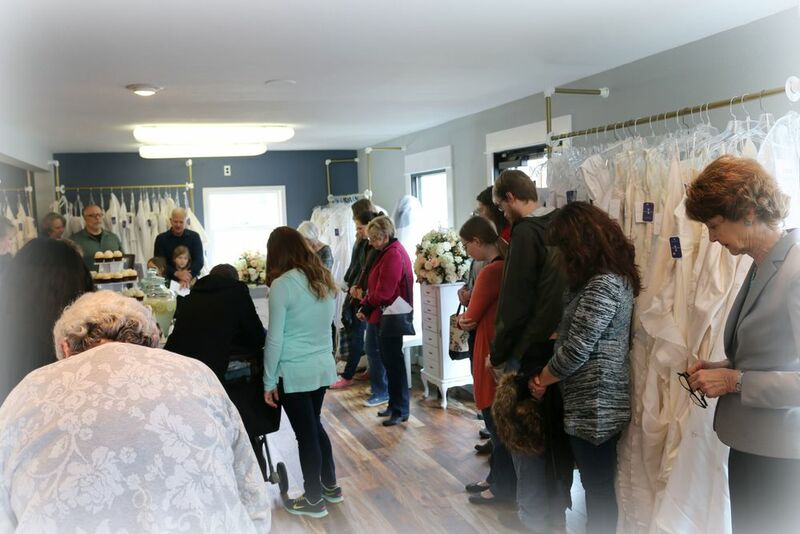 The church family rallied to create a beautiful wedding chapel out of their rented gymnasium/worship center by repurposing used wedding gowns into wedding decorations. Basketball hoops were lovingly adorned with cascading tulle. Folding tables were gracefully rippled with silk and lace. Volleyball poles were creatively transformed into royal entryways by beaded, satin trains. It was an incredible ceremony. After hearing this survivor’s story and learning about Compassion Connect’s vision for uniting churches to bring the love of Christ to their communities, donors came forward with over 400 used and new wedding dresses to be used as Compassion Connect saw need. Simultaneously, a co-founder of Compassion Connect was asked to serve on the Board of an organization committed to providing support and shelter for victims of trafficking. It became obvious: the “gifts” (i.e., all those wedding dresses being stored in our spare bedrooms) were given for the purpose of raising money and awareness for the prevention of exploitation and the restoration of victims. Since that beginning, we have seen the impact of those first few hundred wedding dresses multiplied in ways we never could have imagined. Now, with three shops and an incredible network of volunteers, donors, and sister organizations, we have been privileged to see how even just one dress can truly change a life. Click here to read about the journey to Raleigh Hills and our wonderful volunteer staff! Adorned in Grace enjoys great community support in its mission to address the problem of human trafficking in our community. 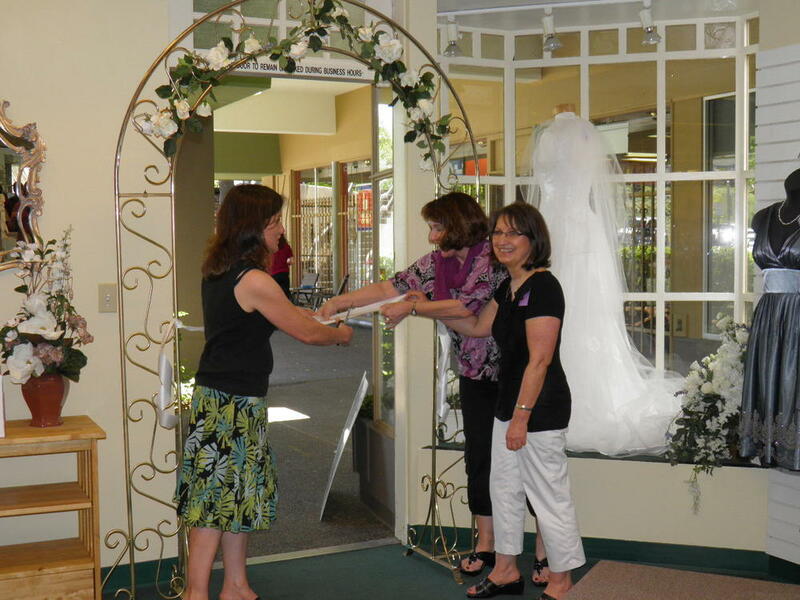 At the June, 2011 Grand Opening of the bridal shop, we were honored by the presence of State Senator Mark Haas, State Representative Tobias Read, and then State Senator (now US Representative) Suzanne Bonamici. Read about the Raleigh Hills Adventure! At the Gresham Opening, we were honored by the presence and prayers of County Commissioner Diane McKeel. Thank you, Commissioner McKeel for addressing the attendees and encouraging those who join with you in this work. 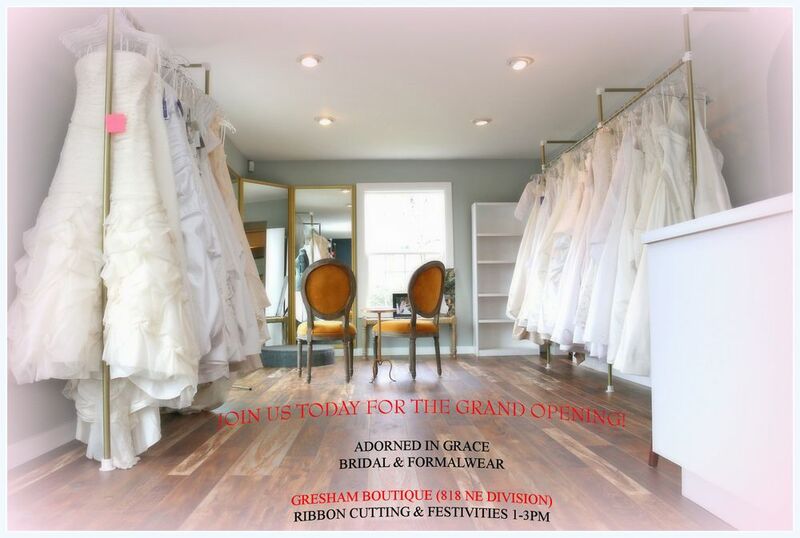 Grand Opening of Tacoma Adorned in Grace - summer 2018! Visit their page here.